The best things in life are FREE. Outbox Media Production Agency invites you all to its grandest event of the year. 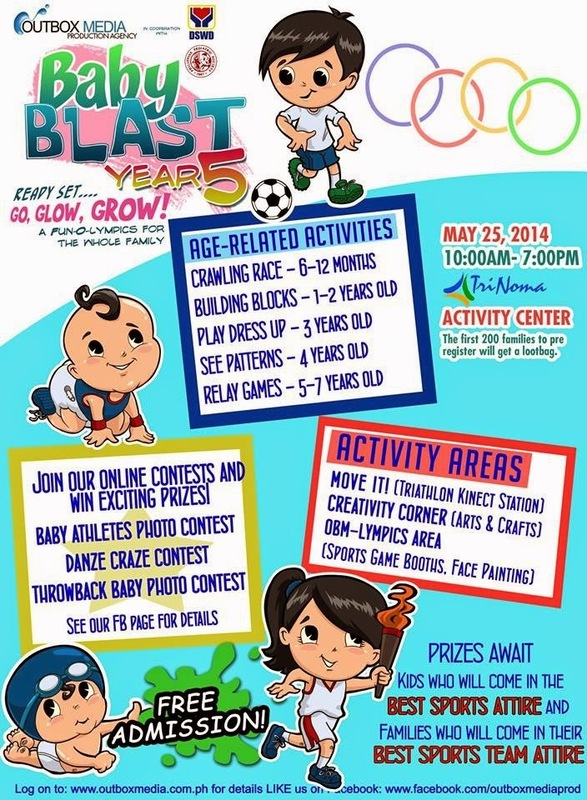 On its 5th year, "Baby Blast" annually focusing on the importance of Early Head Start (EHS) Education continues to bring together EHS advocates, teachers, doctors, parents, kids in a fun-family event on May 25, 2014 10am-7pm at Trinoma Activity Center. 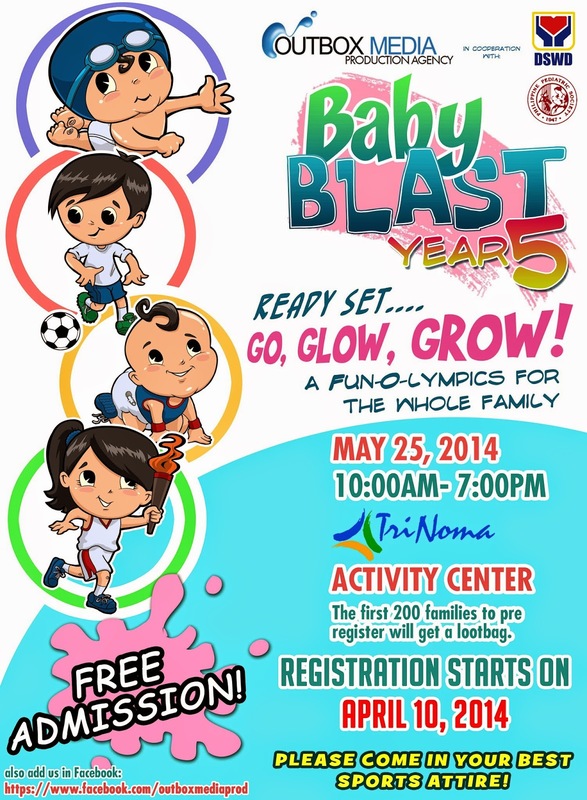 This year's Baby Blast Year 5 dubbed, "Ready, Set...Go, Glow, Grow - A Fun O-lympics for the Whole Family" will focus on fostering development in 3 areas: Go- physical and motor skills; Glow - mental and cognitive skills; and Grow - nutrition and health needs. 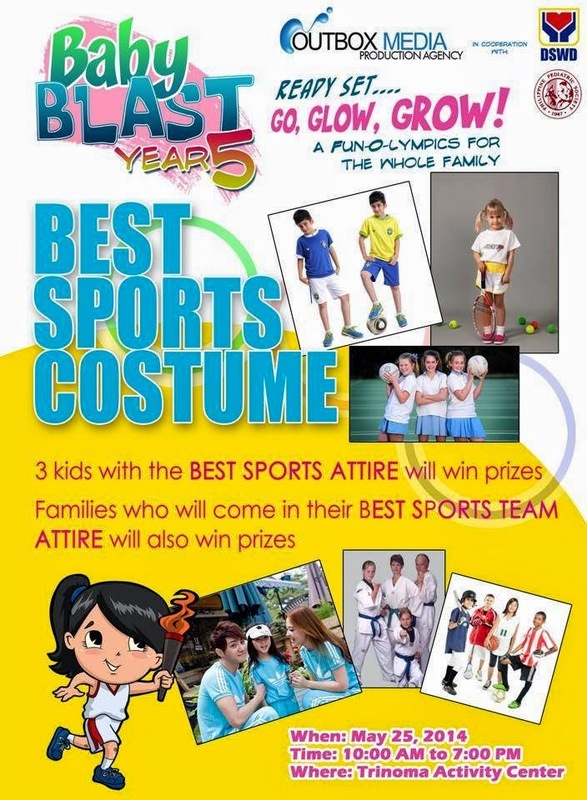 Fun Activity Areas include Move it (Triathlon Kinect Station), Creativity Corner (Arts and Crafts) and OBM-Lympics Area (Sports Game Booths, Face Painting). They also have these online contests and pre-registration happening before the event. The event is made possible by Ceelin, Rite Med, Bounty Fresh Chicken, Waterfront Hotels and Casino, Ferna Hotcakes, Oishi, Uratex and Robby Rabbit. My sister with her baby will definitely be joining so see you all there! 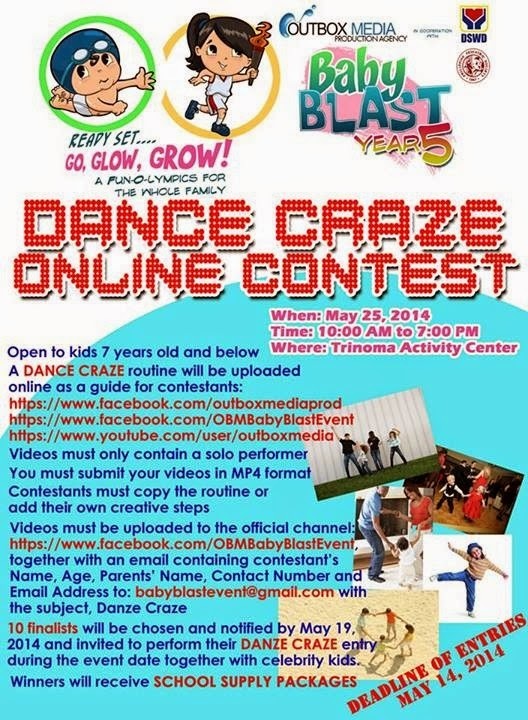 For pre-registration and more information visit https://www.facebook.com/outboxmediaprod and https://www.facebook.com/OBMBabyBlastEvent. Visit also www.youtube.com/user/outboxmedia for more details on videos.